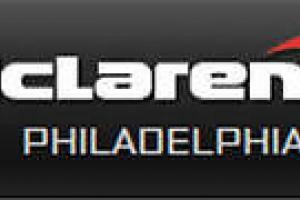 In the mid-1980&apos;s up until the release of the McLaren F1 in 1993. Ruf Porsches were the fastest cars that money could buy. and after the $1M F1. they were the second fastest. In the Road and Track “Top Speed Tests” the Ruf Porsches not only had the highest top speed. but also a perfect reliability record. 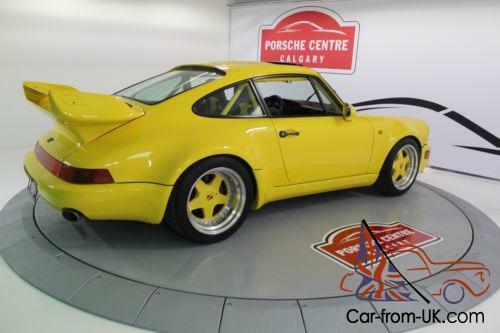 A Ruf BTR achieved 186mph in 1984 and the CTR “Yellowbird” hit 211 mph in 1987. The 1984 BTR repeated its accomplishment in 1987 with a 187mph. with 300. 00km on it. The CTR also held the Nurburgring lap record for production cars at 8min 05 seconds. and was the subject in perhaps the internet's first viral car video of Stefan Roser sliding it around that famous track. RUF has been modifying and upgrading Porsche 911&apos;s since the 1970&apos;s; first with a ‘RS&apos; Style 215hp normally aspirated 911. and then a 3. 3L version of the 911 Turbo. before Porsche built it. The first RUF VIN car. made after RUF gained German manufacturer status. was the BTR. which was put in limited production in 1983. and continued into the mid 90&apos;s with the 993 bodied Porsche&apos;s. Today's Ruf-Porsches are extremely desirable and expensive - between 500. 00 and 750. 00 Euros. Click here 80&apos;s RUF Brochure-Carrera. BTR and CTR. nbsp;Excellent! The letters ‘BTR&apos; come from ‘Group B&apos;. ‘Turbo&apos;. and ‘Ruf&apos;. In the 80&apos;s Porsche had an extensive racing program. dominating many series including Le Mans. IMSA etc. Porsche didn&apos;t produce any track versions of their cars until the 959 supercar of the late 80&apos;s. and this left the door open to RUF to incorporate race-proven componentry into the road cars. In the early 80&apos;s the FIA had Group 4 (Modified Touring) class and Group 5 (Touring Prototypes). Porsche ran their 934 and 935 race cars in the respective classes. ‘Group B&apos; was a series started in 1982 and run for 4 years. that created some of the most fearsome (and dangerous) race cars of all time. including the Ferrari F40. Ford RS200. Audi Quattro S1 etc. Group B required a homolgation of 200 road cars. “For the 1983 season Porsche built six 930&apos;s expressly built for racing. Suspension was stiffened with torsion bars up 3mm in diameter to 22mm in front. and 1. 5mm at the rear to 27. 5mm. Front Anti Roll bars were a thicker 22mm while their rear bars were made adjustable for stiffness. The 930&apos;s 917 brakes were good enough to start with. but Porsche was able to make larger 330mm brakes available for 1983. These fitted inside 16” wheels with 9. 5” front rims and 11” rear. Constructed much along the lines of the 934. the Group B 930 had an aluminium roll cage and an aluminium cross brace above its 26. 5 gallon racing fuel tank and an oil tank in the front compartment. Working within Group B rules. the engine was given cam timing with more overlap. a larger intercooler and boost pressure raised to 20psi (1. 4bar). Output rose to 364hp@5. 00rpm and torque increased substantially to 360 ft/lbs @ 4. 00. To cope with the higher cylinder head pressures. 935-type head gaskets were installed. Completing the drivetrain was a clutch with sintered metal linings and a gearbox equipped with an oil pump and cooler. 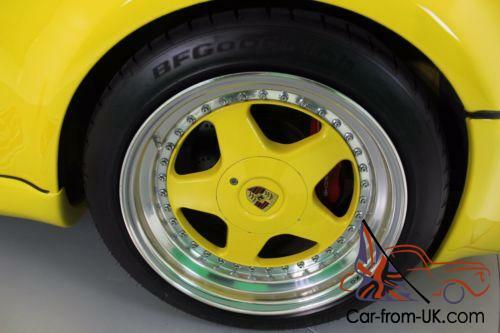 The RUF BTR was inspired by the Group B Porsche but it was a road car. and built to customer specifications. The car could be ordered with flared Turbo bodywork. 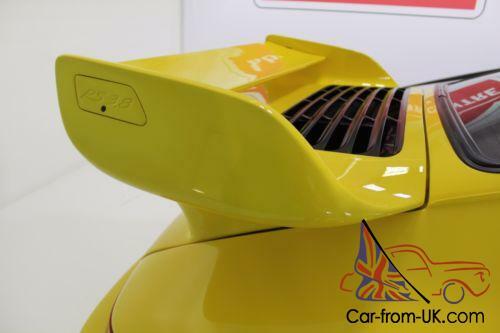 or the standard 911 sheet metal which was lower in drag and gave a 20km/hr increase in top speed. The BTR could be built up from a Porsche body-in-white and given a RUF VIN. or a customer car could be modified. It is thought. though not documented. that there are approximately 200 BTR Ruf motors built. but only a couple dozen or so were used in genuine RUF VIN Cars. There were several body styles (narrow or wide body. slant nose. coupe or Cabriolet) and some componentry differences. though they shared the 3. 4L engine and 5 speed transmission. The Basics of the RUF BTR start with the engine. which had the original partially finned cylinder barrels replaced by ones with air-cooling fins around their complete diameter. The bore was increased giving a new displacement of 3. 4L from the original 3. 3L. Ruf added unique Mahle Pistons and connecting rods and 935 type camshafts. 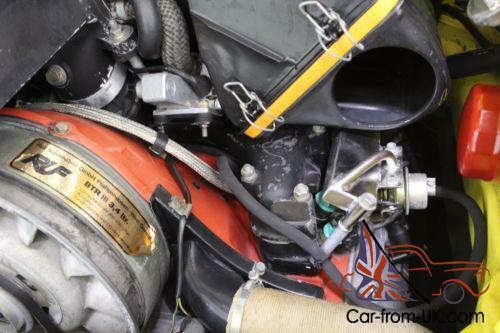 The turbo was replaced by a larger KKK K27 unit. and a larger free flowing intercooler was added. The intake manifold was replaced. as was the exhaust. The first BTR engines used Bosch K Jetronic (CIS). but later engines called BTR III. used Bosch Motronic. and had 408hp up from the 374hp of the CIS engines. 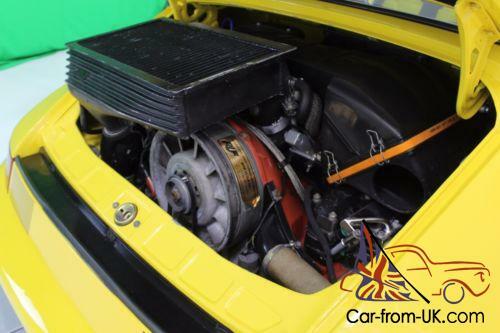 The Ruf Motronic system was the first digital engine management system to be available on a street Porsche 911 Turbo and had a dual injectors per cylinder. custom injector blocks and fuel rails derived from the 962 race car. Motronic was a $10. 00 option on a BTR. but standard on the CTR. 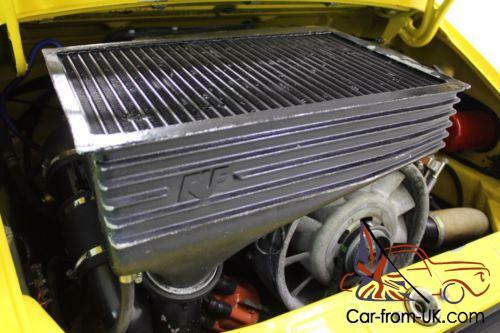 A larger oil cooler was installed in a RUF front spoiler. moving it from the inside passenger fender. RUF single piece forged rims sized 9x17 and 10x17 ran on Dunlop Denloc tires. 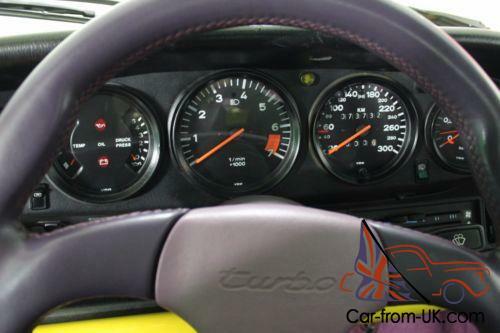 RUF offered a complete set of gauges including a 350km/hr speedometer. 1. 5bar boost gauge. and Tachometer with the red line turned to near vertical. RUF modified the standard Porsche 930 4 speed by adding a 5th gear with the help of Getrag-the top two ratios remained unchanged. and the lower 3 ratios were spread to cover the speed ranges formerly served by 2 gears. 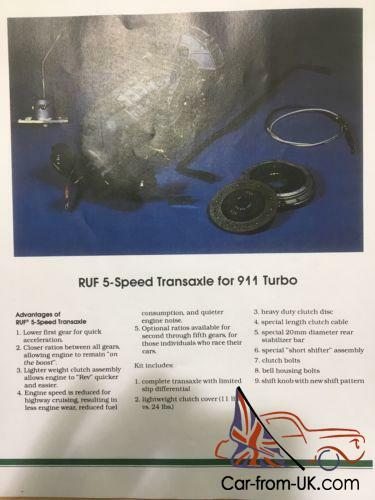 1st gear and reverse were unique RUF parts. and gears 2 through 5 were 935 parts. 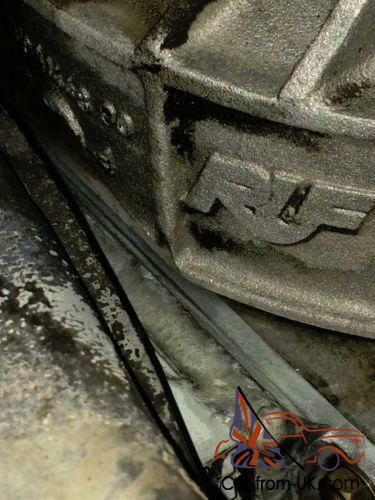 RUF also improved the shift linkage that was both lighter and more positive than the stock unit. In the late 80&apos;s RUF modified Porsche G50 transmissions to take the increased demands of the BTR&apos;s prodigious torque. The cars were lowered and the suspension was stiffened. RUF added an adjustable boost control in the cockpit. changed the steering wheel to a RUF item. and added a RUF tachometer and boost gauge. For the original BTR. power increased from 300hp to 374hp at . 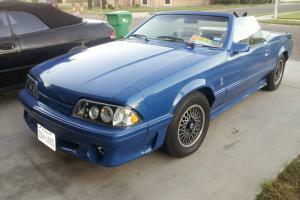 825 bar of boost and 425hp with 1 bar. Top speed was 300km/hr for the narrow body car and 280km/hr for the Turbo body. Acceleration to 60mph was in less than 5 seconds; by reaching 62mph in 4. 6 seconds a 3. 4 Liter Turbo-Ruf became the fastest accelerating production car ever tested by Auto Motor und Sport. It reached 100mph in only 9. 5 seconds. RUF had matched. or even bettered. the performance figures for Porsche&apos;s own Group B Le Mans car! This car was featured in Road and Tracks Fastest Cars issue in 1984. where the car did 186mph and won the speed contest. In 1987 Ruf was put on the world stage with the “CTR” which was the famous “Yellowbird” that graced the cover of the July 1987 Road & Track (click here). and was declared the ‘Fastest Car In The World&apos;. achieving 211mph. The Yellowbird is also featured in the video above with test driver Stefan Roser driving the car tail-out around the Nurburgring where it achieved a road car record of 8:05. a remarkable time in the day. 0-60mph was achieved in 4. 0 sec. 100mph in 7. 3sec. and the quarter mile in 11. 7 sec@133mph. The CTR was inspired by Group C racers. the Porsche 956/962 being the dominant machines of the 1980&apos;s. and was the expression of Alois Ruf to create a slimmed down race car for the street-the ultimate road car. The CTR used a twin-turbo version of the 3. 4L engine. with Bosch Motronic management from the 962. Power was up to 469hp. with. and a top speed of 211mph (340km/hr). The 29 CTR&apos;s had special aerodynamic bodies constructed. all on the narrow body 911&apos;s. with the drip-rails ground off. the rear wiper removed. an aero mirror and special bodywork that added 1” to the rear fenders allowing the narrow body car to run 10” wide rear rims. The front and rear bumpers were replaced with lightweight aerodynamic fiberglass sections. 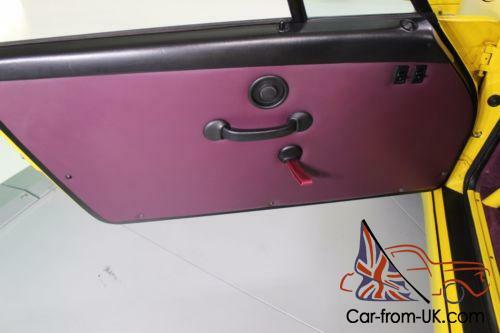 The car was also significantly lightened with aluminium door skins. 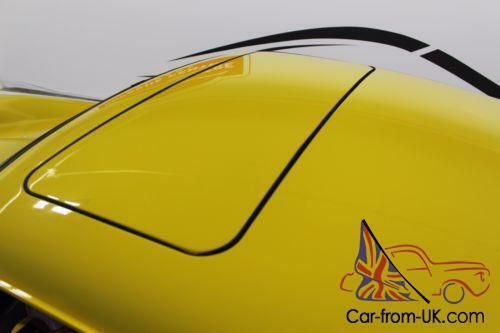 fenders and trunk lid (similar to the homologated 911 SC/RS of the late 1970&apos;s) and it weighed in at less than 2. 00lbs. It had an integrated roll cage. heat exchangers replaced by a front mounted gas heater. the oil tank relocated to the front compartment. twin turbos and intercoolers mounted on sides of the engine bay. a central air intake. adjustable boost from . 75bar (350hp) to 1. 2bar (470hp). a/c delete. new larger diameter fuel lines with 4 fuel pumps and 330mm Brembo brakes with 4 piston calipers inspired by the 962 race car. No RUF CTR was ever sold in North America. as they didn&apos;t have impact bumpers. In 1987 the prices for the RUF BTR Turbo Coupes started at $115. 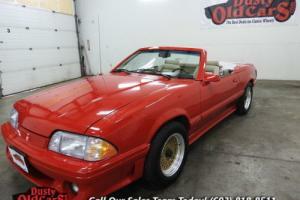 00 (in the US) and the Cabriolets were $10k-15k more expensive. 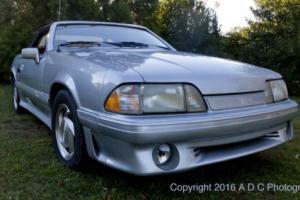 The Slantnose Turbo Cab quoted in Road and Track in 1987 was $150. 00 (in the US). US MSRP for a standard 911 Turbo in 1987 was $58. 00 while a narrow body CTR Coupe “Yellowbird” was listed at the equivalent of $142. 00 in Germany. The standard BTR was priced at 140. 00DM. and the CTR 240. 00DM. 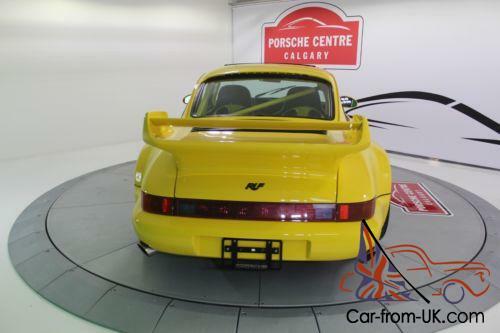 RUF continued to make BTR&apos;s and CTR&apos;s through the early 1990&apos;s on the Porsche 964 platform. but created new models when the 996 twin Turbo came out in 1996. eliminating the single turbo RUF. In the 80&apos;s RUF set up a network of US dealers. including RUF Western America/Scottsdale Motorsports in Arizona and Exclusive Motorcars in New Jersey. They sold RUF parts and did RUF conversions to customer Porsches. 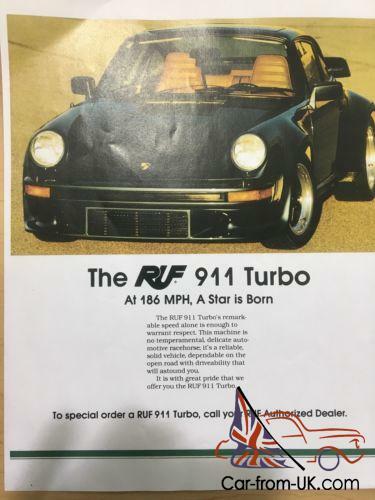 From 1987. when RUF was granted an importation license as a manufacturer by the US. the dealerships were able to sell RUF Vin cars. 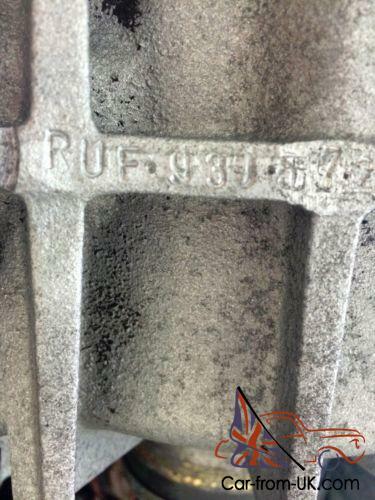 RUF made only 29 genuine CTR&apos;s with RUF Vins. and perhaps the same number of BTR&apos;s. These RUF VIN cars are valuable collector cars today. 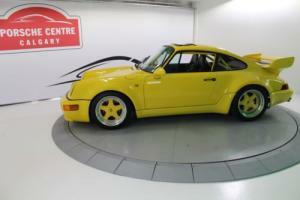 RUF also modified or supplied parts to a few hundred customer cars per year. These account for nearly all of the “RUF” car on the market. RUF also serviced Porsches. and did complete ground up restoration on Porsche road and race cars. There were RUF factory versions of the BTR on 911/930 chassis and on the 964/5 Chassis. some with an enlarged 3. 8L engine. According to Mark Bongers book on Porsche and RUF. all in all there were about 400 RUF VIN and RUF factory converted cars built prior to 1994. on 911 and 964 chassis. -ECU inspection and service by BOSCH MOTORSPORTS Germany ($3. 00). ‘G&apos; Series German Market 3. 2 Carrera. Paint to Sample Non Metallic (9898) Yellow. Invoice date April 25. 1986. Vehicle converted into RUF-Porsche BTR with the addition of 3. 4L engine. larger Turbos. Ruf intercooler. RUF 5 speed gearbox. Ruf Tachometer. Ruf adjustable boost gauge. 911 Turbo wide-body. 911 Turbo suspension. 911 Turbo Brakes. 964 body kit. 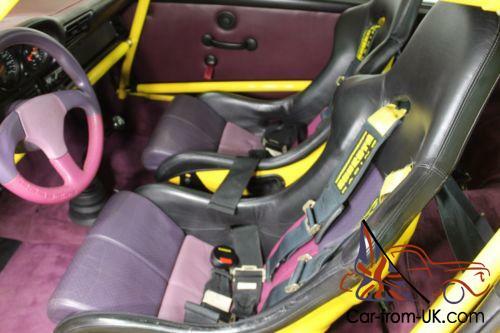 964 RS interior. Sold July 29th. 2005. 68. 00km from Dianne Chaytor of Conception Bay. Newfoundland. to Travis McIntyre of Rocky Mountain House. AB. for the sum of $40. 00 and a Cougar Jet boat. This Ruf-Porsche started life as a German market 3. 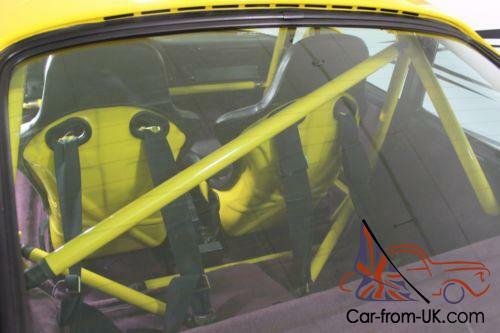 2 Carrera ordered in a Paint to Sample ‘Speed Yellow&apos;. It was converted to a RUF BTR III in the 1990&apos;s with the conversion to a wide-body and with a 964 Turbo body kit. 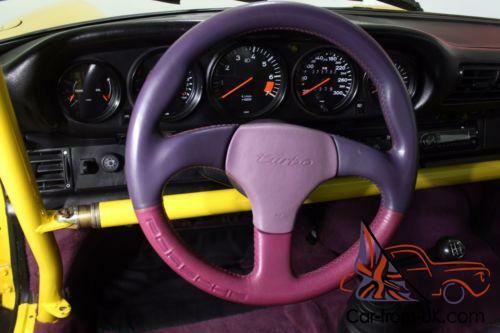 The interior was retrofitted with a 964 Carrera RS tri-colour ‘Rubystone&apos; lightweight interior with Recaro racing seats and a full roll cage. 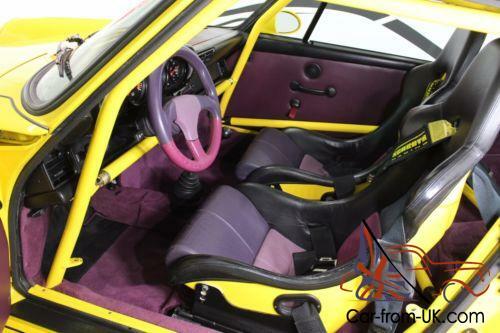 The car has the exterior and interior resemblance of a 964 RS 3. 8. but instead of the NA 3. 8L 300hp RS engine. it has the BTR III powertrain with 408hp+. Even at ‘low&apos; . 8 bar of boost the car is significantly more powerful than the 3. 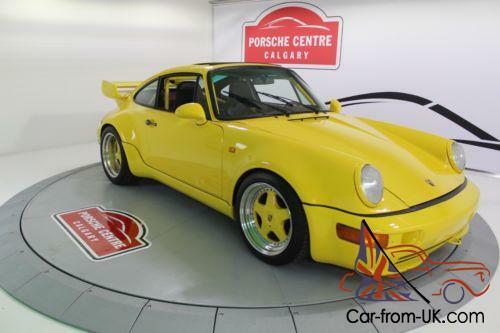 8RS or the 381hp 964 Turbo S.
Both of those rare 964 variants are now worth in the vicinity of $1. 00. 00. and this RUF-Porsche will handily out-perform either of them. with legendary RUF reliability. Known Faults: The car was repainted to a good standard in the 1990&apos;s and is still showing well but there is some slight evidence of masking around the rear windshield. There are some small stone chips. There is some slight scratching of the underside of the rear window where tinting was scraped off. There are a couple of spots where the side sills are pulling away very slightly from the bodywork. but this is very minor. The OZ wheels have their original finish and there is some flaking of the clear coat. There is some slight wear to the sides of the Recaro racing seats. as they are difficult to get in and out of. The date stamps on the racing belts are Feb 1998. so they will need to be replaced. There are no 3 point belts. The sound system has been removed and replaced with a blanking plate. There is no tool roll. No Books. No European history documents. In the front luggage compartment the lining is new. but there are no snaps on the perimeter so it won&apos;t fasten tightly. The fuse box cover won&apos;t stay on. There are no Catalytic Converters or other emission control equipment (although we can supply a stock 930 Turbo exhaust/cat set up). We do not know what may be required for the vehicle to pass smog/emmissions testing in other markets. There is no A/C. THE EXPOSED METAL ROLL BAR SHOULD BE REMOVED BEFORE DRIVING ON THE STREET. The car is tucked away in our basement showroom in Calgary. Taxes and fees: There are no dealer fees. Canadian residents need to pay 5% GST. You don&apos;t pay Canadian Taxes if the vehicle is shipped out of the country. Payment: Wire transfer is easiest. within 7 days of the auction close is the expectation. Shipping to the US: We can handle the logistics shipping to US addresses. The cost is usually between $2. 00 and $3. 00. There will be brokerage fees and duty on the car which are approx. $500 + 3% of the value of the car. Budget $7. 00 for most US addresses to have the car delivered to your door via enclosed truck transport. You can send us the payment for the car plus $7. 00 and we will take care of the rest and you can expect to receive the car between 3 and 6 weeks from the time of payment. Shipping to Europe: We can handle this too. Generally the car would travel by container. and the cost would be about $5. 00 to any of the major ports in Europe. What if I want to have a running/driving car delivered to me? We can do that and charge you for the additional work we do. depending on what you want us to do. You would need to pay for the car first though.